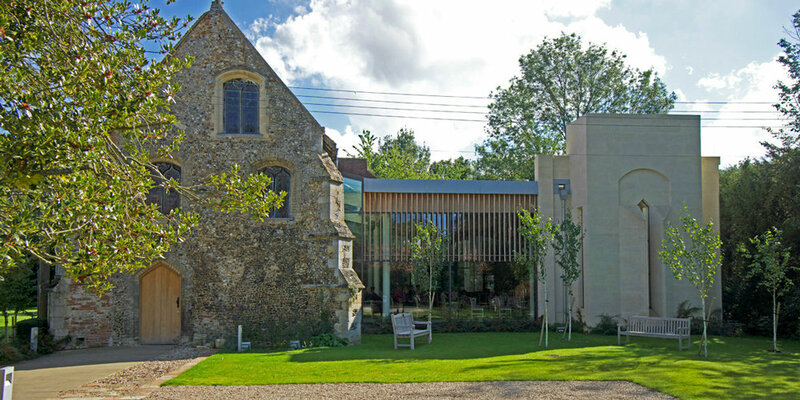 "RICS Awards 2015 East of England Building Conservation Winner & Project of the Year Winner"
Clare Priory is one of the oldest religious houses in England; situated in the shadows of Clare Castle on the banks of the River Stour, Suffolk. Please click the images to enlarge. Clare Priory is a special site because of its intrinsic loveliness, its venerability, its religious and cultural associations. The church was too small to accommodate the needs of it's congregation and the wrong shape to accommodate the modern liturgy. Inkpen Downie conducted an exhaustive exploration of the alternatives for enlarging the church. This progressed in a succession of consultations with the planning authorities, and periods of reflection by the church. 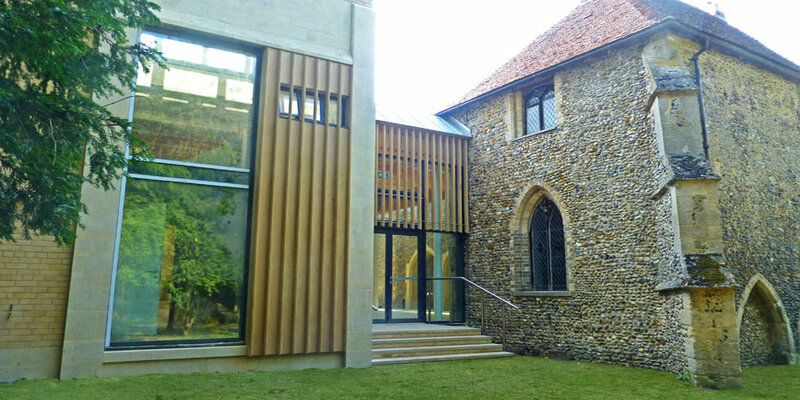 Planning permission and Historic Monument Consent were granted by St Edmundsbury District Council. 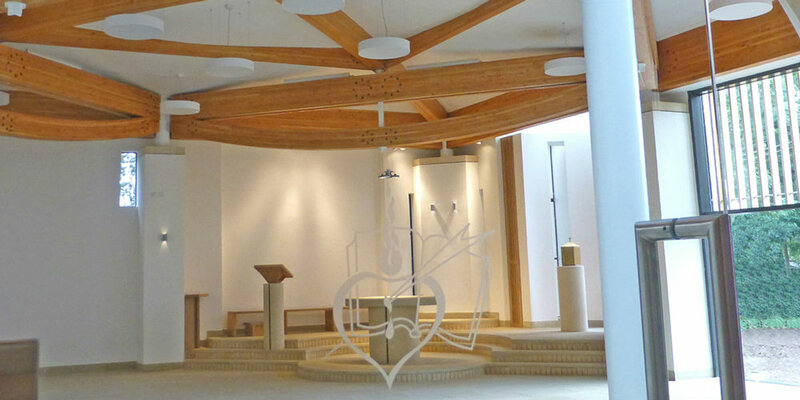 Enables the modern liturgy to be followed within an historic setting. 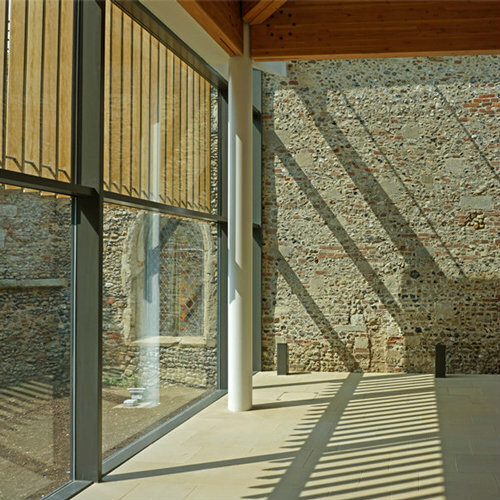 A new extension is entered through the original building via an arcade formed in an existing length of late 19th century wall. The new building is unobtrusive without being retiring, it is contemporary without being strident. 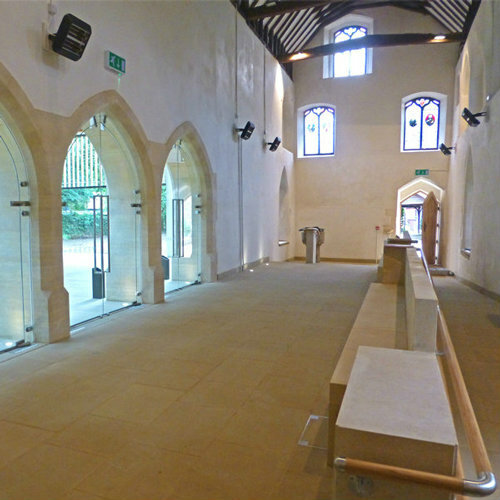 It respects the scale of its historic setting and provides for modern space requirements.